70% Whale, Beluga meat dried (Alaskan Native) – Where can I get some? In summary, I need to find a source for Pork Skins and Beluga Whale. Then I can sprinkle gelatin, parmesan cheese, and seaweed over the meat, and ‘wash it down’ with some dry milk! 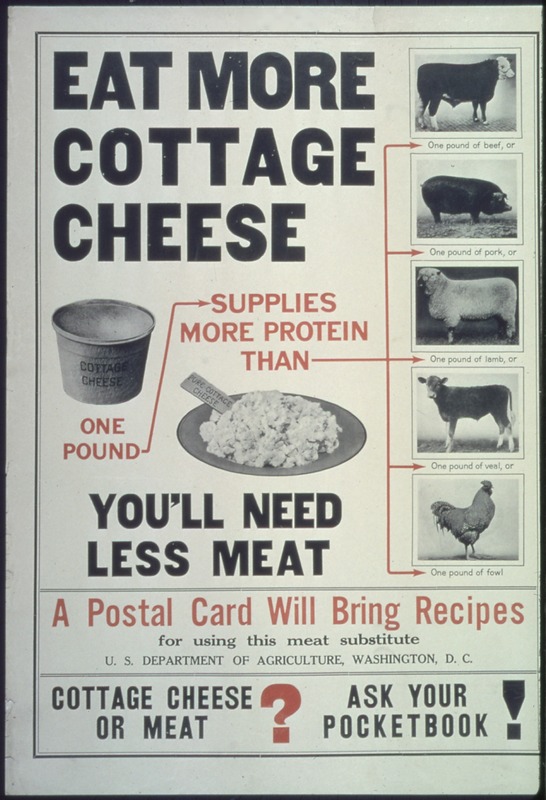 Let us know what you think of the cottage cheese experiment. I have never tried cottage cheese or tofu for the same texture reasons you mentioned. I do like black cherry yogurt with Post crunchy pecan cereal mixed into it for lunch, especially on hockey days. Not sure if that is good for protein, but it is tasty. Keep on postin, and I’ll keep a lookout for Beluga meat sources. I eat an insane amount of cottage cheese… mostly due to my laziness when it comes to food preparation. Next PostNext My Mom is the Best!